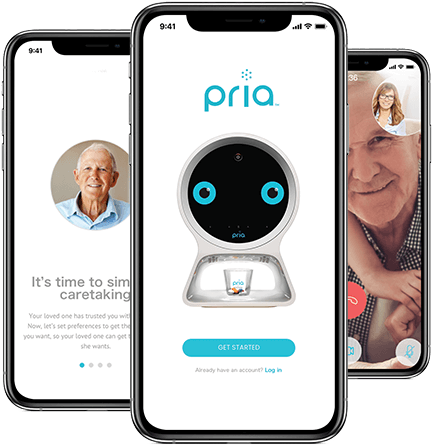 Pria is a subscription-based medication management system that empowers your aging loved one to stay independent and connected to you. It provides the right medications at the right times so you can use your energy to nurture your bond, not manage their pills. Making sure a loved one takes their medication on schedule can be overwhelming—and exhausting. With Pria, medication is administered on time, and will alert you through your Pria smartphone app if a dose is missed. Pria promptly responds to voice commands. As a web-enabled device, your loved one can ask for the weather, nutrition information or questions about their medication. With 28 compartments, able to hold up to ten pills each. Pria’s pill dispensing system allows for multiple medications to be scheduled throughout the day. It’s hard to be away. With Pria, you can connect with your loved one face-to-face, no matter where you are, through video chat. 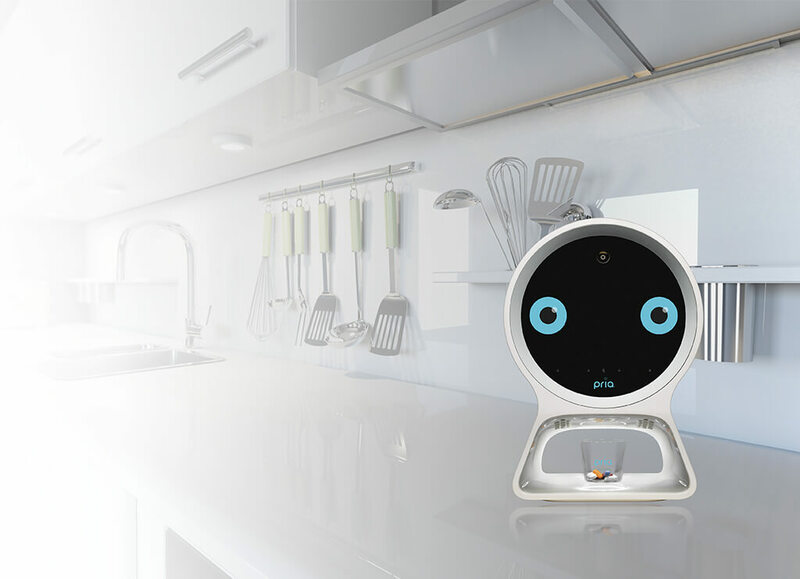 Once set-up is complete, Pria will alert your loved one when it is time to take their medicine, and alert you if a dose was missed. After you purchase your Pria from a select retailer, download the Pria app from the App Store or Google Play Store and activate your $39.99/month subscription.